I was diagnosed with Ideopathic Pulmonary Fibrosis in October 2007. I was otherwise healthy and a non-smoker, yet was told to expect the disease to make my lungs fibriotic and that they would stop functioning within 3-5 years, at which point I would require a lung transplant in order to breathe. 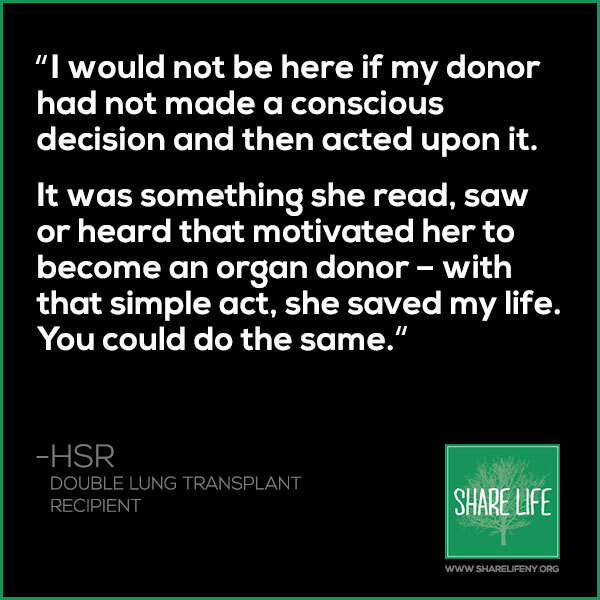 The timing was accurate and just shy of 4 years after being on oxygen 24/7 for several months, I was placed on the waiting list for a life-saving double-lung transplant. The 6 month wait was filled with the unanswerable question, would I receive the life-saving transplant in time to save my life? The question answered, I had a double lung transplant in August 2011 at NY Presbyterian Hospital in New York City. I was one of the lucky ones. 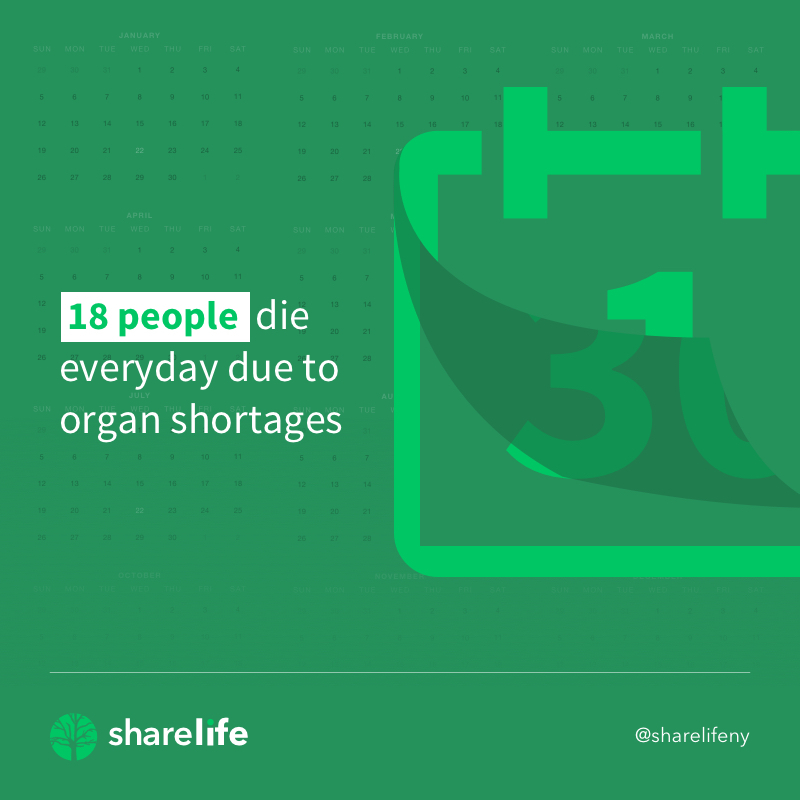 As my family and I learned more about this debilitating disease, IPF, organ donation and organ transplantation, we learned about the dire shortage of available organs, and the number of deaths as a result of this shortage. There has been tremendous medical progress in organ transplantation and there are ongoing studies to further refine the surgery, post-operative results and and treatment options. The limiting factor in saving lives is in many cases the lack of organs, due to the low number of registered organ donors. Throughout the five years of my illness, surgery and recovery we have had continued support and love from a large circle of family and friends. We feel deeply about the strength of this support in helping in my recovery and ability to reach this point where we can now “pay forward” some of what we learned from this experience. 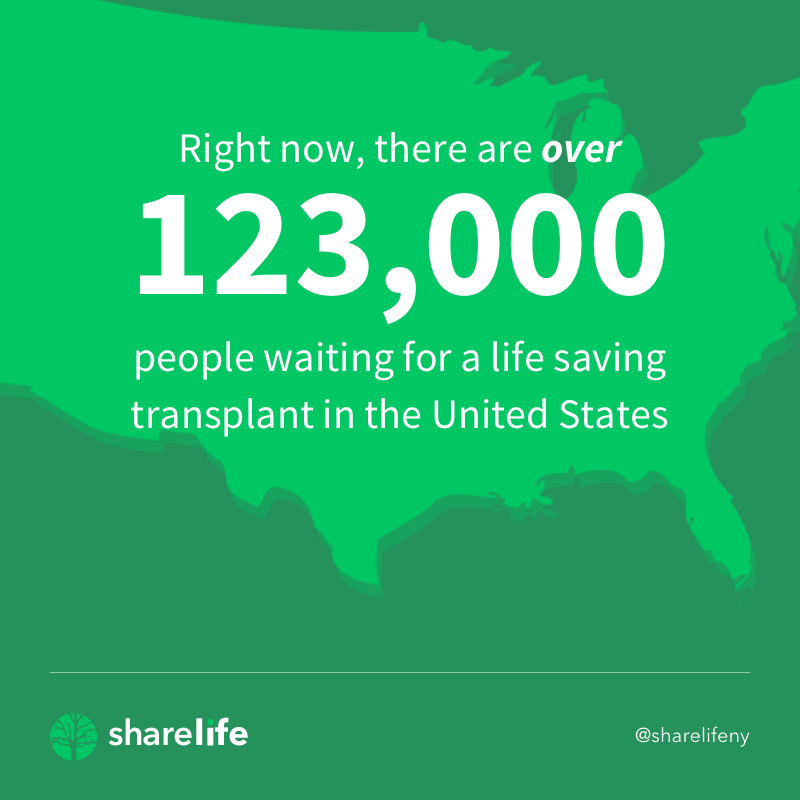 Carol, Alexis, and Brett & I, along with our family and friends, have initiated the outreach of ShareLife. 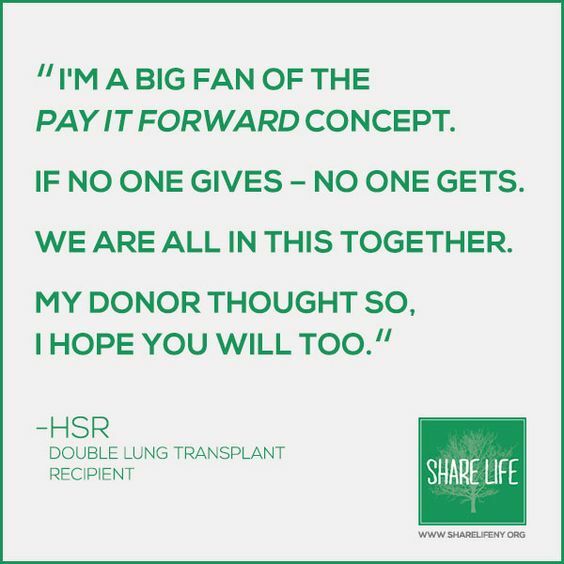 We hope this effort with inform and educate others, increase enrollment as organ donors, and provide many others the opportunity to receive life-saving organ and tissue transplants.